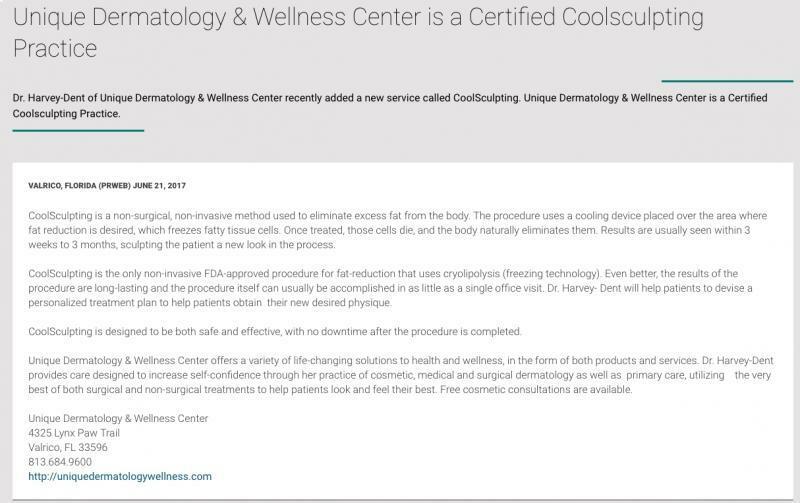 Unique Dermatology & Wellness Center is a Certified Coolscuplting Practice! Dr. Harvey-Dent of Unique Dermatology & Wellness Center recently added a new service called CoolSculpting. CoolSculpting is a non-surgical, non-invasive method used to eliminate excess fat from the body. The procedure uses a cooling device placed over the area where fat reduction is desired, which freezes fatty tissue cells. Once treated, those cells die, and the body naturally eliminates them. Results are usually seen within 3 weeks to 3 months, sculpting the patient a new look in the process. 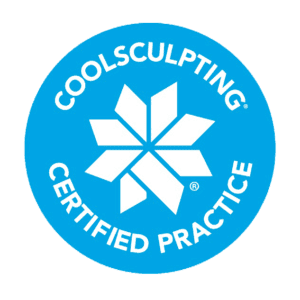 CoolSculpting is the only non-invasive FDA-approved procedure for fat-reduction that uses cryolipolysis (freezing technology). Even better, the results of the procedure are long-lasting and the procedure itself can usually be accomplished in as little as a single office visit. Dr. Harvey- Dent will help patients to devise a personalized treatment plan to help patients obtain their new desired physique. CoolSculpting is designed to be both safe and effective, with no downtime after the procedure is completed. Unique Dermatology & Wellness Center offers a variety of life-changing solutions to health and wellness, in the form of both products and services. Dr. Harvey-Dent provides care designed to increase self-confidence through her practice of cosmetic, medical and surgical dermatology as well as primary care, utilizing the very best of both surgical and non-surgical treatments to help patients look and feel their best. Free cosmetic consultations are available.